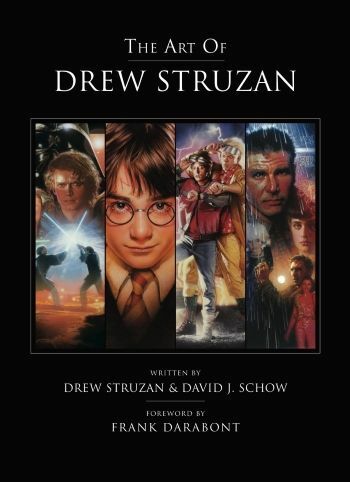 Even if you don’t recognise Drew Struzan’s name, chances are you know his work. Many of the finest movie posters of the last four decades have boasted the characteristic “Drew” signature, and this fantastic book pulls many of his numerous career highlights together. From iconic Indiana Jones one-sheets to unused artwork for Mad Max Beyond Thunderdome , almost every page is something you’d like to hang on your wall – if only that didn’t mean cutting up a stunningly beautiful book. What makes this a truly essential purchase, however, are the comments from Struzan himself. With the help of an impressive selection of early design sketches (the sheer range of ideas he tried out for Back To The Future alone is staggering), he provides a candid (if brief) account of his design process, the stories behind the posters and his feelings on Hollywood. It’s an intriguing look at the career of a man so talented he could make even Masters Of The Universe look like a must-see – whether you’re an art lover or just a fan of movies, you’ll want this on your book shelf.